President Muhammadu Buhari met with the Nigerian community in Dubai, the United Arab Emirates, on Tuesday and repeated his promise to consolidate his anti-corruption fight and war against insurgency in the next four years. He also said the country’s economy would post improved results before 2023. The President held a town hall meeting with Nigerians where he told them that he hoped to manage the country’s resources prudently and rapidly diversify the economy with special emphasis on agriculture. 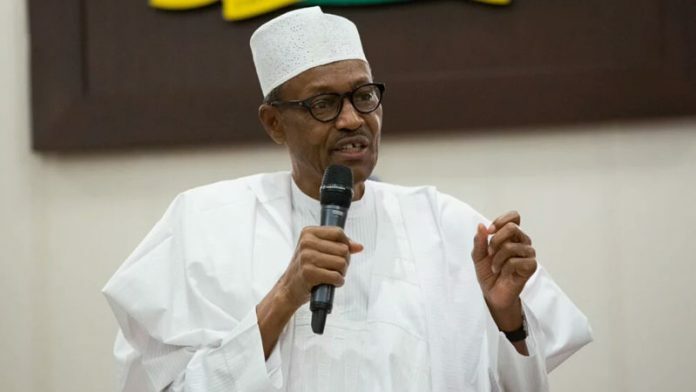 Presidential spokesman, Mr Femi Adesina, in a statement said Buhari told his audience that his Next Level agenda was all about consolidating the gains recorded between 2015 and 2019 by achieving more before 2023. According to Buhari, his administration’s call for Nigerians to return to the farms yielded positive results. He said, “What we did was to encourage agriculture and fertiliser was made available at half the price. “We encouraged people to go back to land. The response was excellent. We have virtually achieved food security; we have stopped the importation of rice.